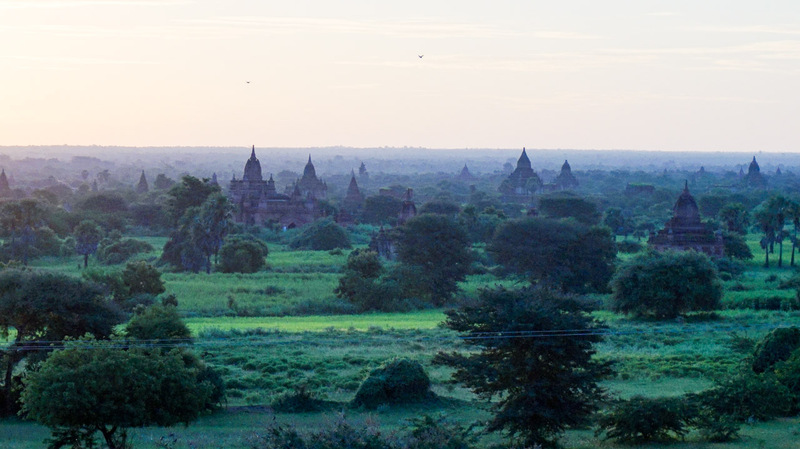 Heading into Bagan, Myanmar we had no expectations. The only thing we expected was to see temples & a whole lot of them. Little did we know we would enjoy it as much as we did. It truly is quite the magical & mystical place. 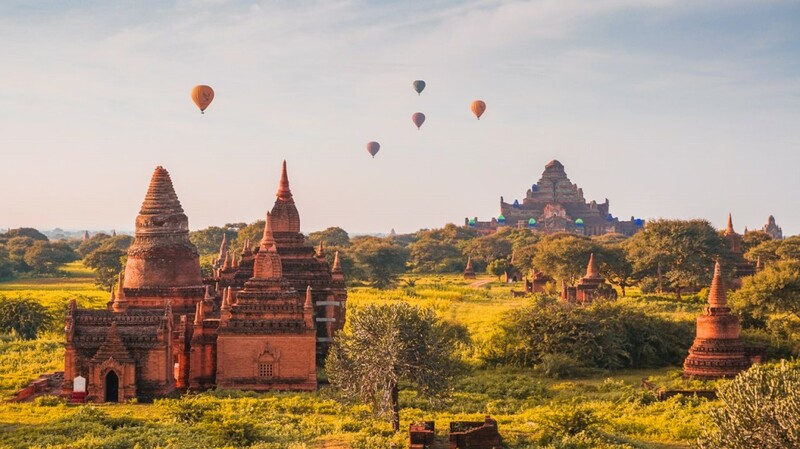 Bagan, located 630km north of Yangon is one of Asia’s most famous historic sites and is the centrepiece of Myanmar’s fast-growing tourism industry. 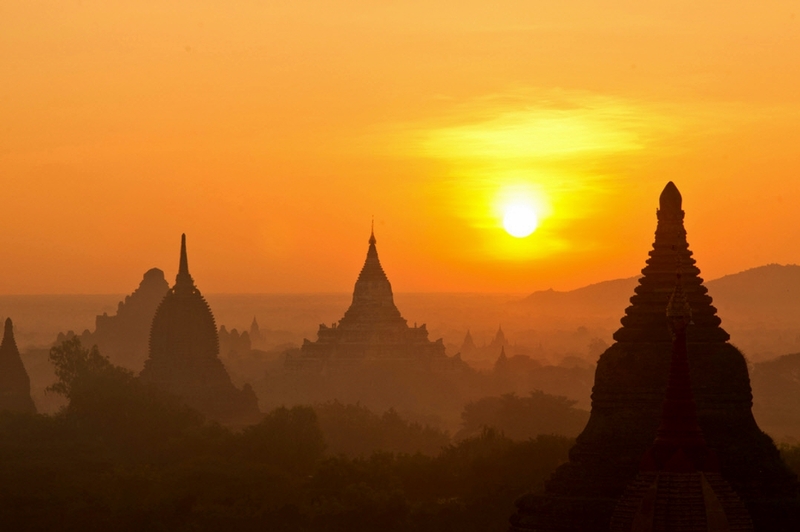 It is a must-visit destination when travelling through Myanmar. 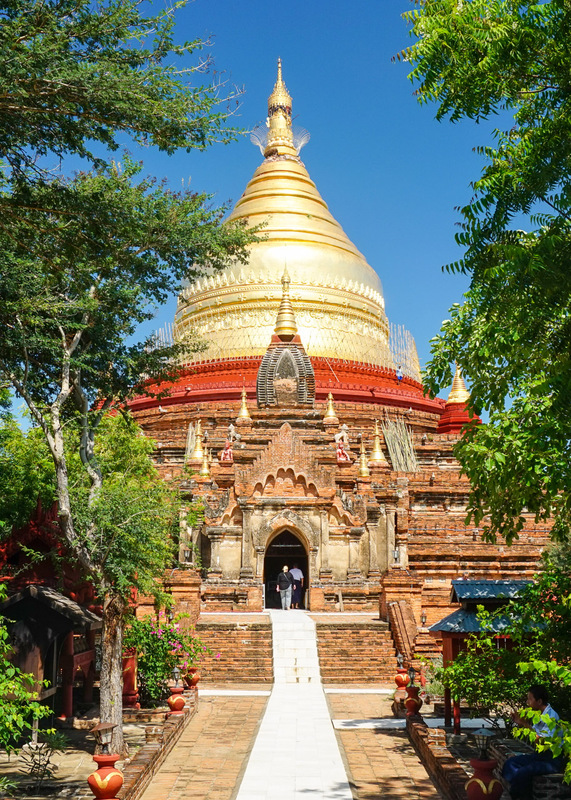 This rural, peaceful city is home to 2200 Buddhist and Hindu temples dating back to the 11th century. 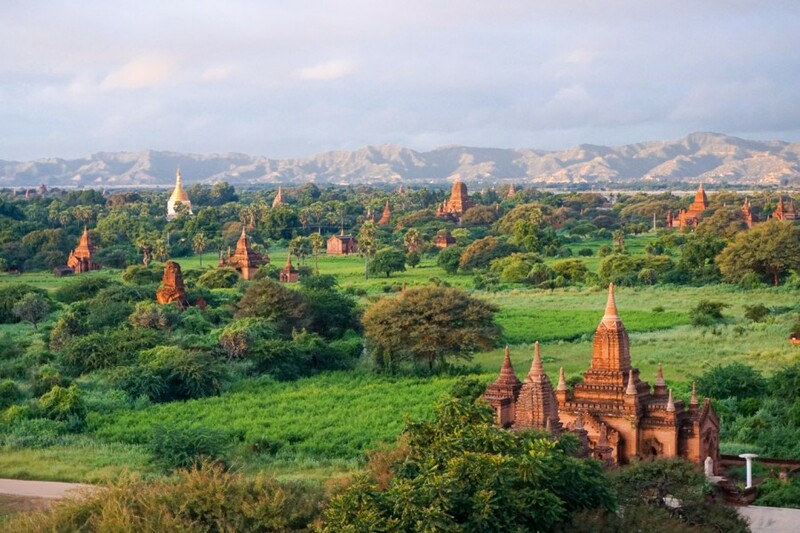 At one point in time, over 10,000 temples lined the plains of Bagan but due to earthquakes, only 2200 remain. 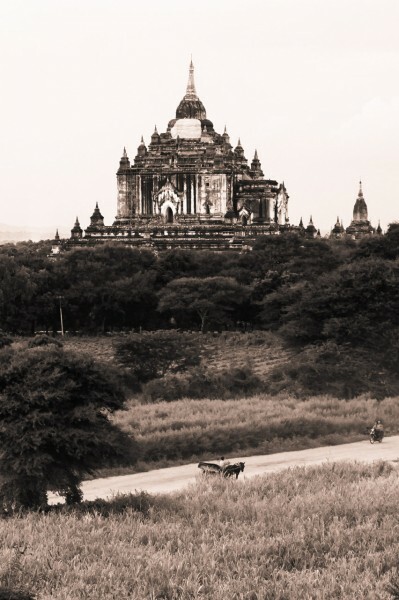 I can’t begin to imagine what it looked like 100’s of years ago when it is still extremely impressive nowadays. There are some places in this world that don’t need a whole lot of words to gain an idea of how incredible something can be. 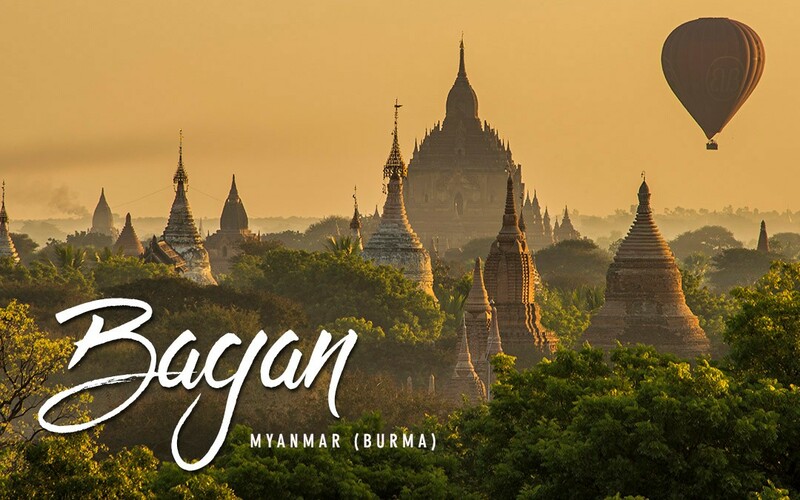 Instead of a complete guide to Bagan (there are so many out there already, with Dustin’s Guide being our favourite) we’ve taken a different approach. Below we have just shared with you some of our favourite photos taken over the course of a few days whilst we temple hopped on our E-bikes (the best way to see the temples!). 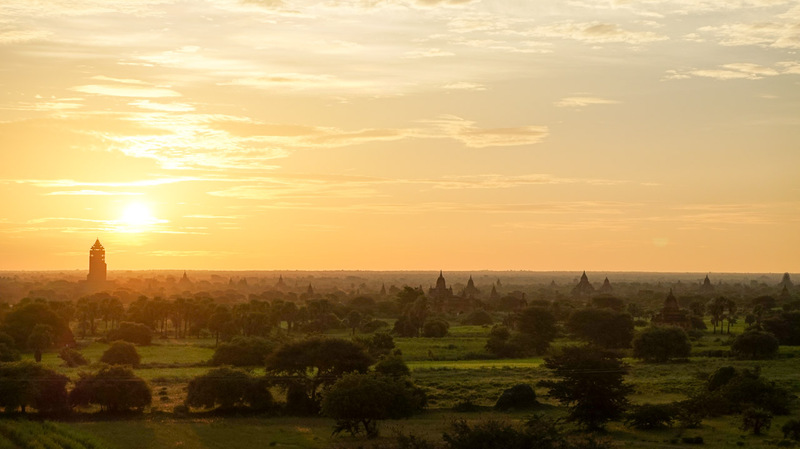 What makes Bagan feel so special? It isn’t a museum. Simple as that. There are no walls or arrows telling you which way to go. You can explore the land whatever way you want. 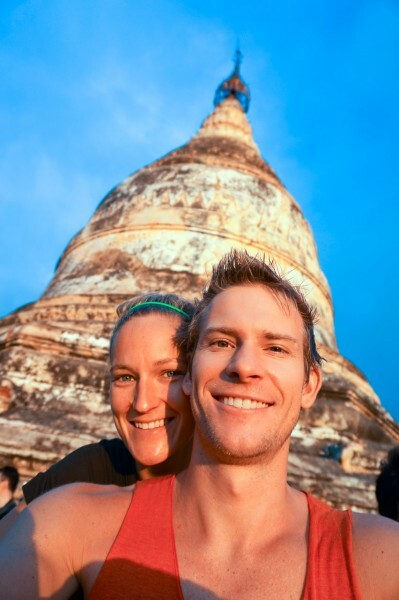 We got lost on dirt roads at night, drove through thick grass and mud paths, avoided squirrels and cows crossing the roads all before ending up at some of the most magnificent historical sights we’ve ever seen. As ridiculous as it may sound, it reminded us of a treasure hunt, setting out to explore and find the hidden treasures (or easter eggs at Easter, whichever way you want to look at it). 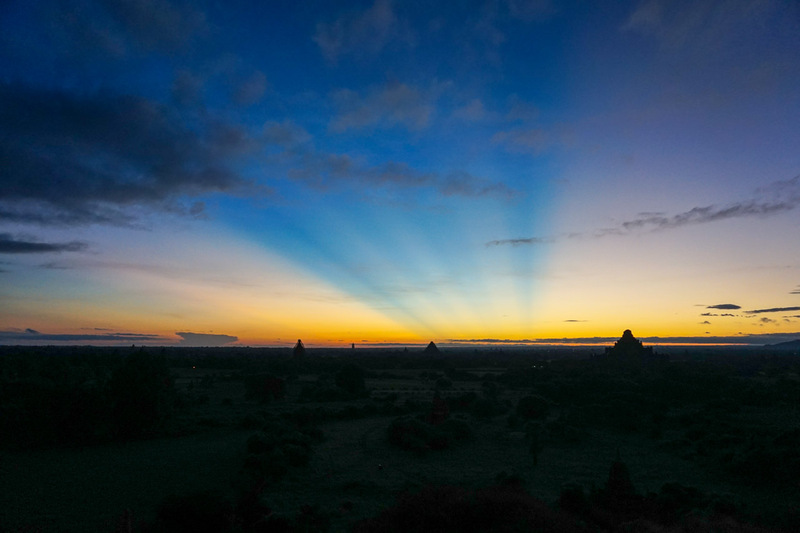 Every morning we woke up at 5.15am and made our way out into the dark. 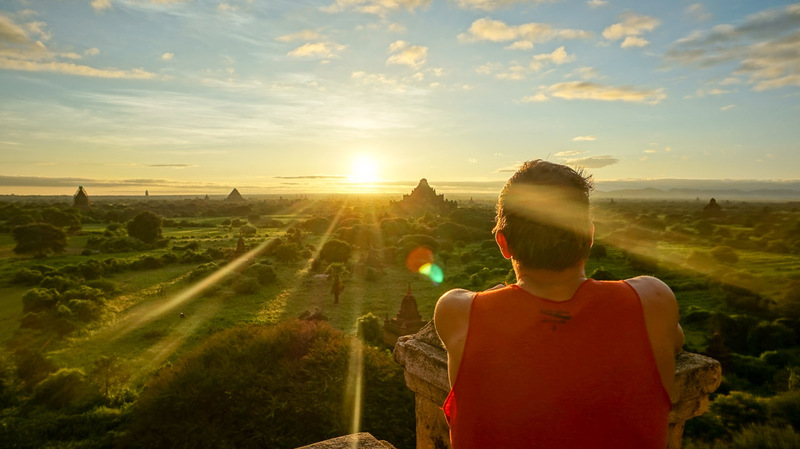 There’s something about sunrises that are so incredibly peaceful and when you stop to look out over 100’s of acres of temples, with no one else around, it is quite a unique experience. 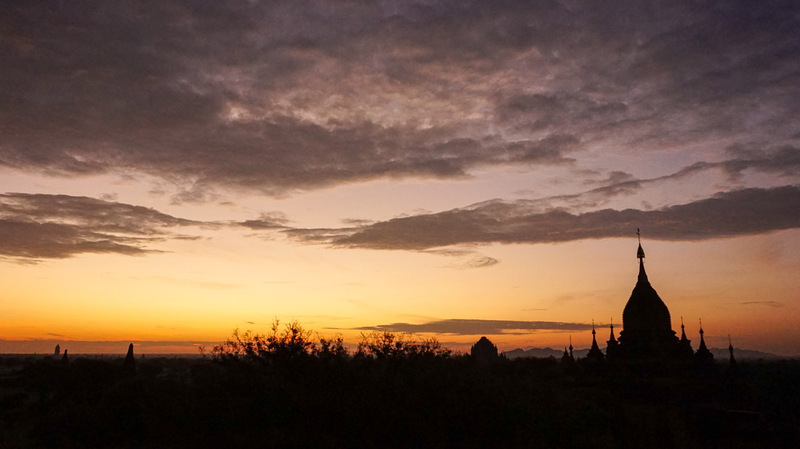 Minus the blurry eyes, this is definitely our favourite time of the day in Bagan. Nan Yin Taw – Quiet, less than 10 people here, great place for seeing the balloons go past. 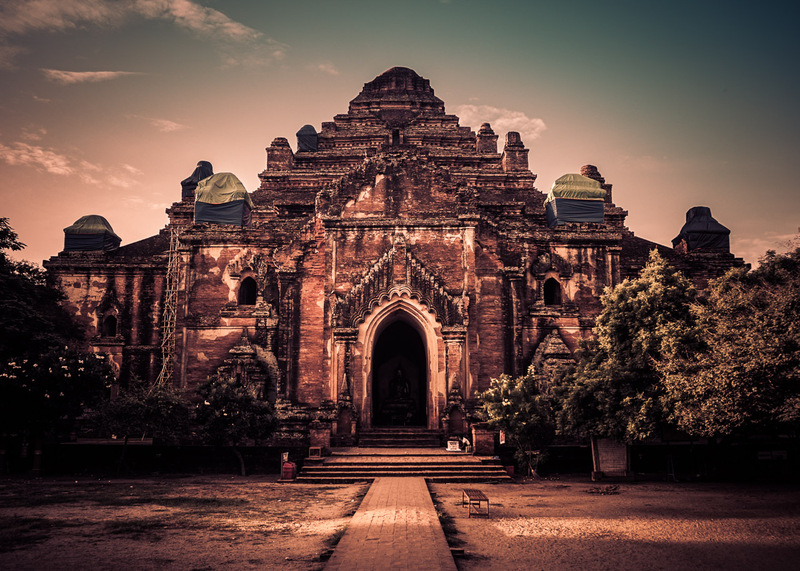 See here for more secret temples. 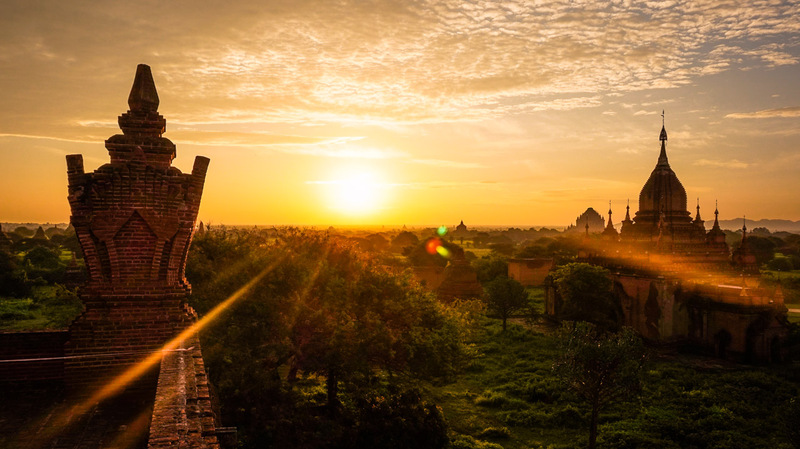 Law ka Ou Shang – Our favourite. 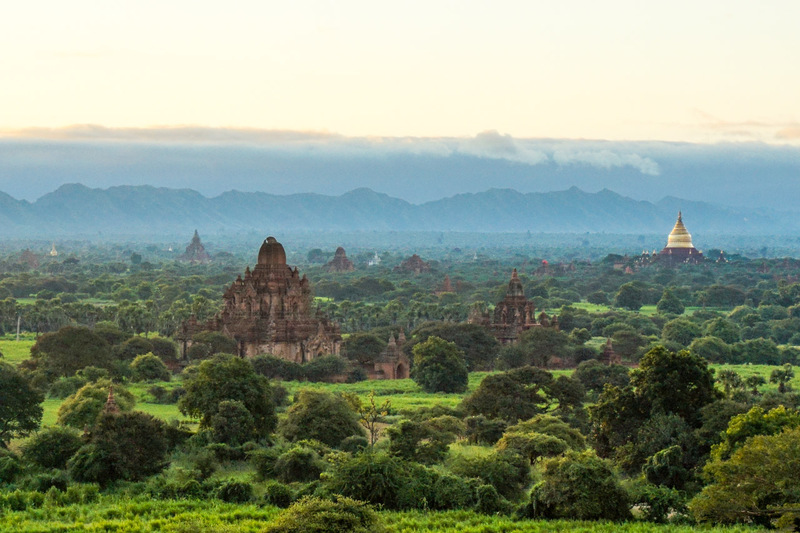 When you’re done here head to Pya Tha Da close by for the daytime views. 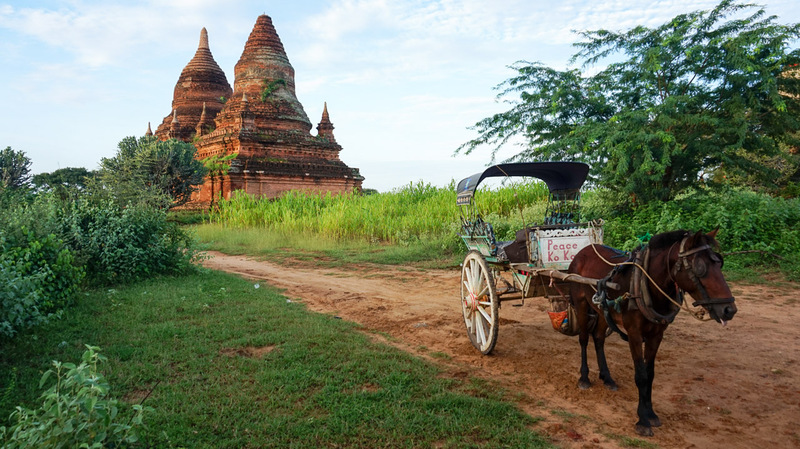 The people of Myanmar are such beautiful & friendly people – very polite, soft-spoken and quite often, genuinely intrigued with tourists. Pulling up to one of the temples, an open-back truck filled with monks stopped next to us and unloaded. 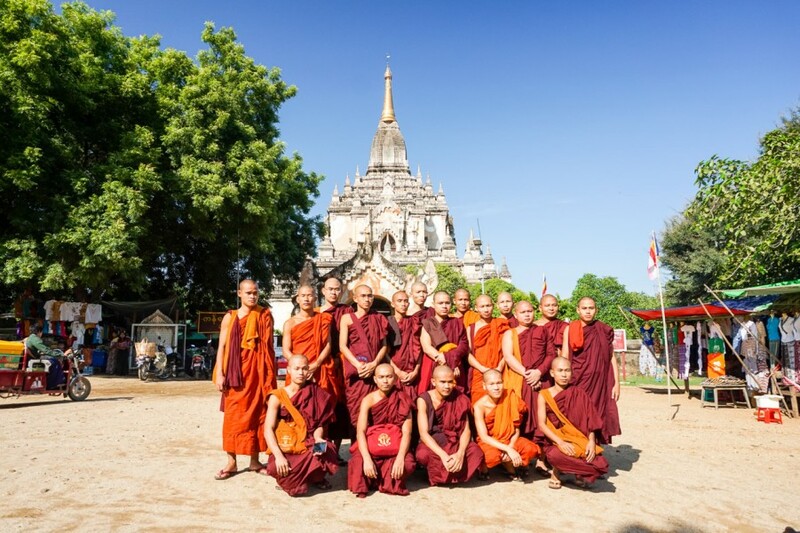 They were teenage monks on an excursion from Mandalay. One by one, they step out of their truck and immediately approach us for a photo. Without even thinking, we attempt to put our arms around them but they were quick to stop us and guide us to how we should stand in the picture (clearly missing the non-smiling memo). 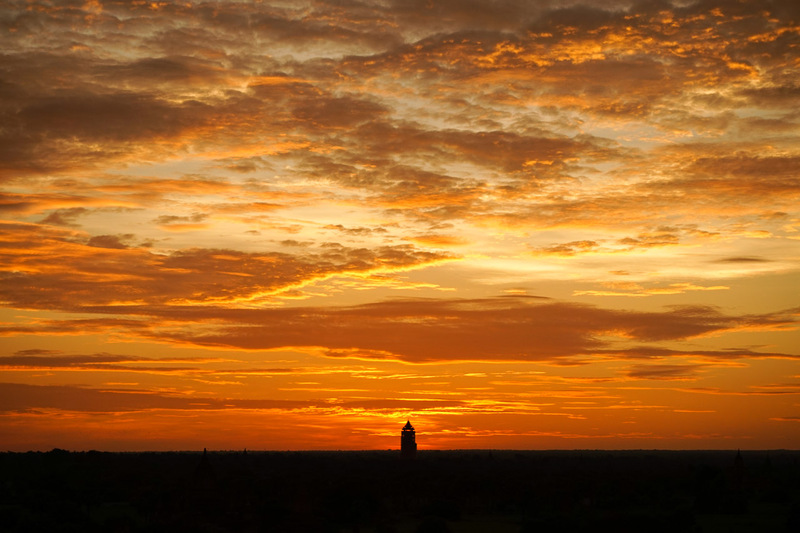 Unfortunately, we didn’t get so lucky with our sunsets. What was always a clear day always turned to cloud 20 minutes before the sun was supposed to set. See below for what it “should” look like. 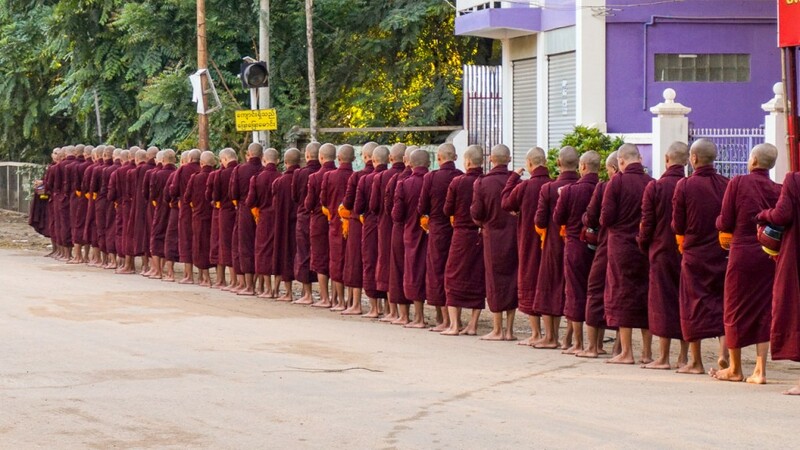 Pya-Tha-Da – One of the biggest and again, most crowded. 360 views and a large terrace but way too many people for us. 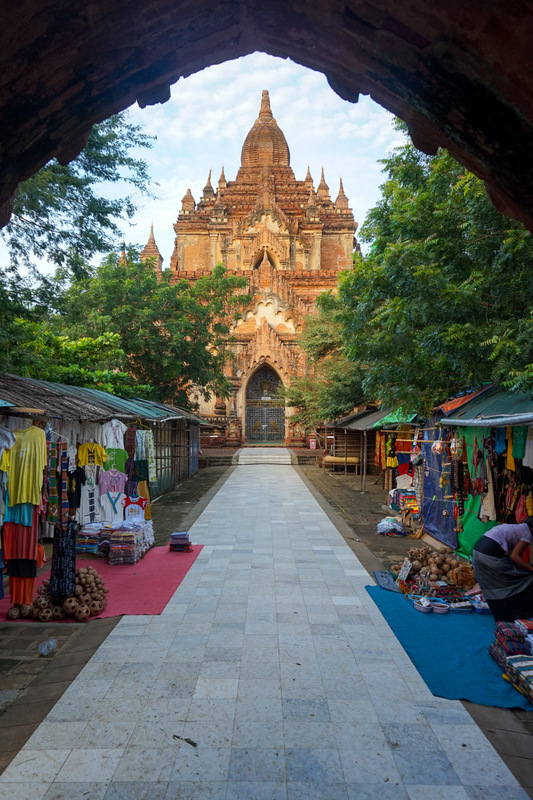 Shwe San Daw Pagoda – During sunrise this temple is beautiful but at sunset it is overcrowded and you have a view of the carpark/motorbikes/hagglers & food stalls in front of you. It definitely takes away from the serenity of the location. Personally, you’re better off elsewhere. 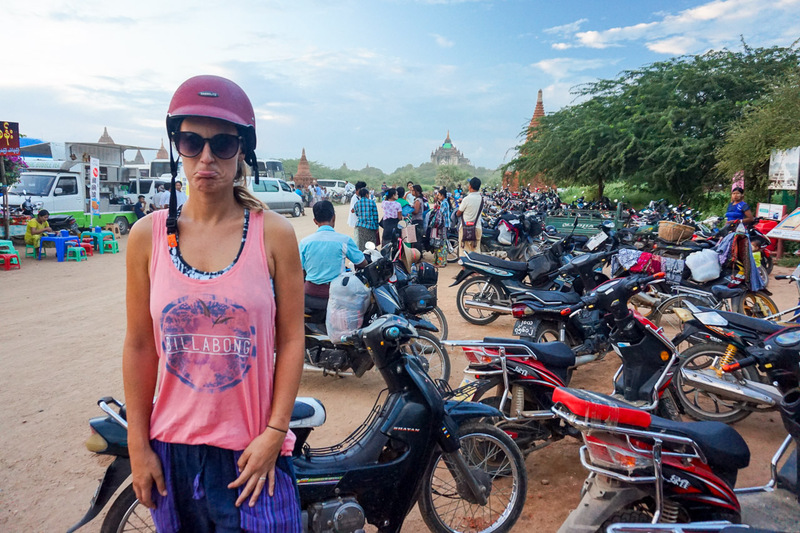 We came here on our last sunset and left very disappointed. Ask the locals they will point you in the right direction. Well…we lied. It wouldn’t be a post without a few sneaky tips, would it? Shoot us an email if you have any other questions! 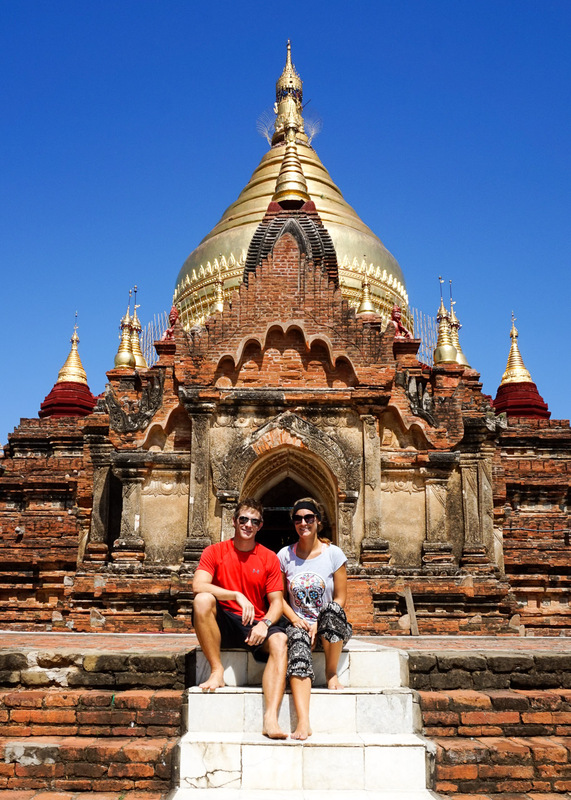 Tourists need to pay an entry of $25 USD which is valid for 5 days to visit all of the temples. Keep this with you. 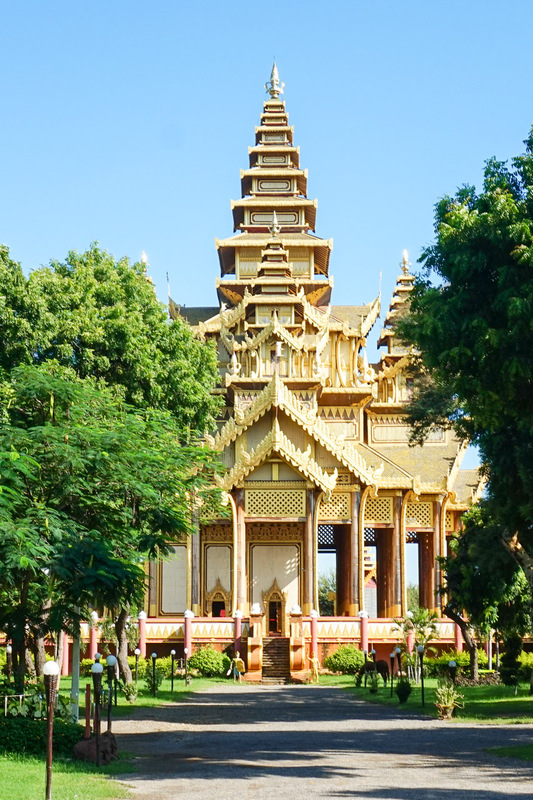 If you don’t visit the main temple (Shwe San Daw Pagoda) you may be able to avoid paying this, we were never checked elsewhere. 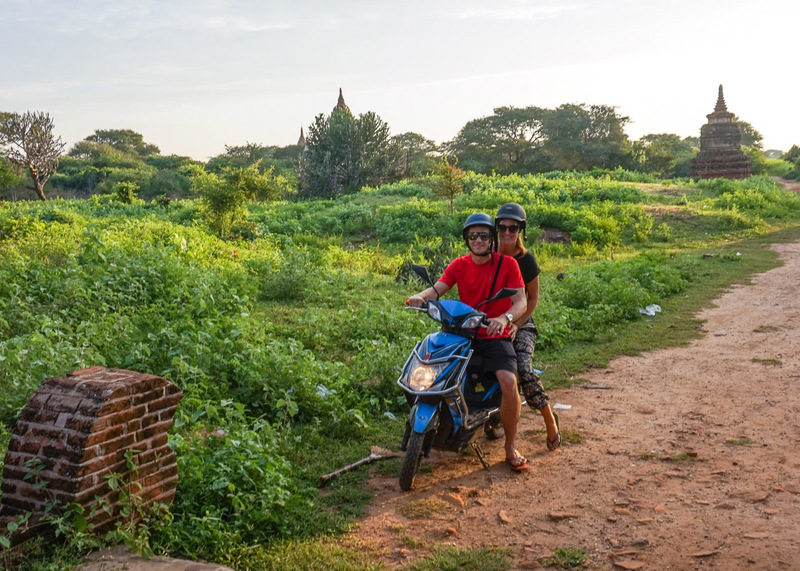 Rent E-Bikes, they are the cheapest ($6- $7 USD per day) to cruise around at your own pace. They are a slower version of a moped. Be sure your E-bike is charged, ours ran out of battery 2km before we reached our hotel. Whoops. Stay at Shwe Di Na Guesthouse – Super basic rooms for $18 a night, A/C and helpful staff, located in Nyaung- U. 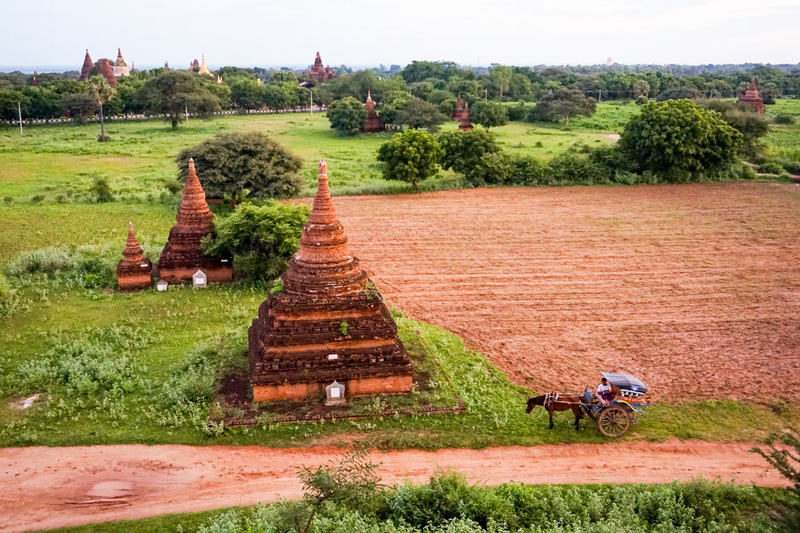 It is HOT in Bagan during the day. Avoid temples at this time. The temples are best seen during sunrise and sunset so try to wake up each morning… it’s totally worth it. 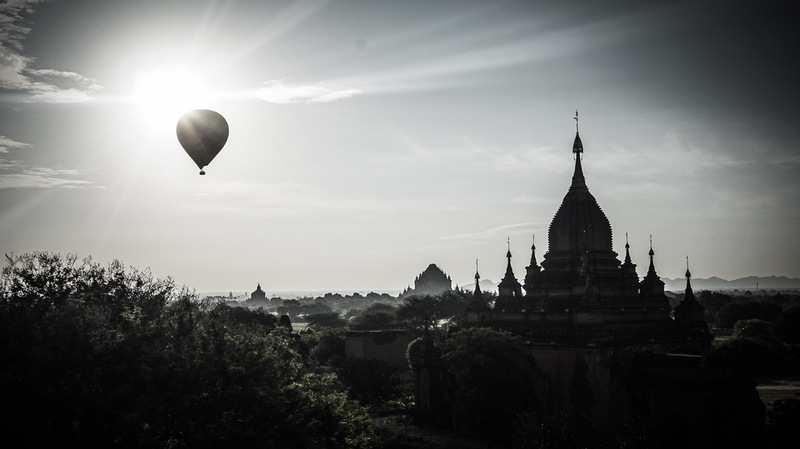 Hot Air Ballooning over the temples is a whopping $330- $386 USD per person. Book in advance. 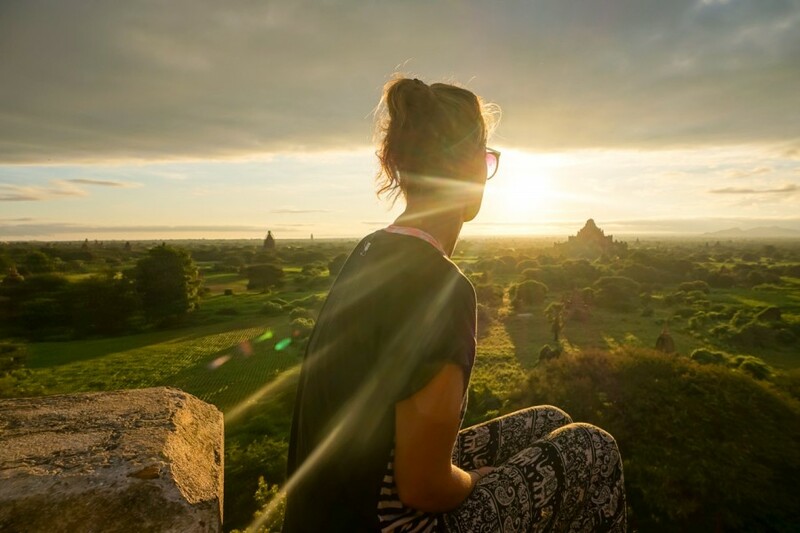 There is no backpacker friendly package. 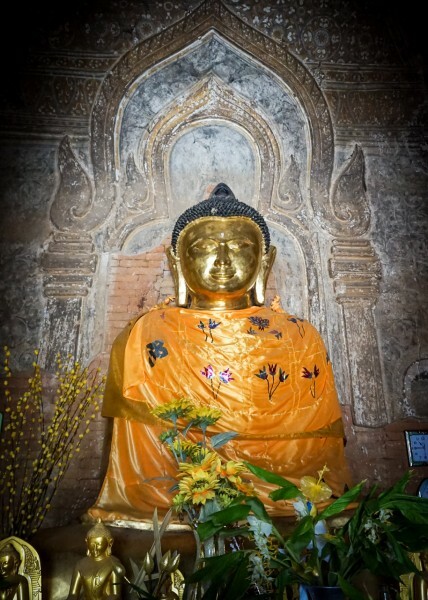 Buy a map so you can find the temples easier. The free ones are not well marked. Bring a headlamp for sunrise temple visits. 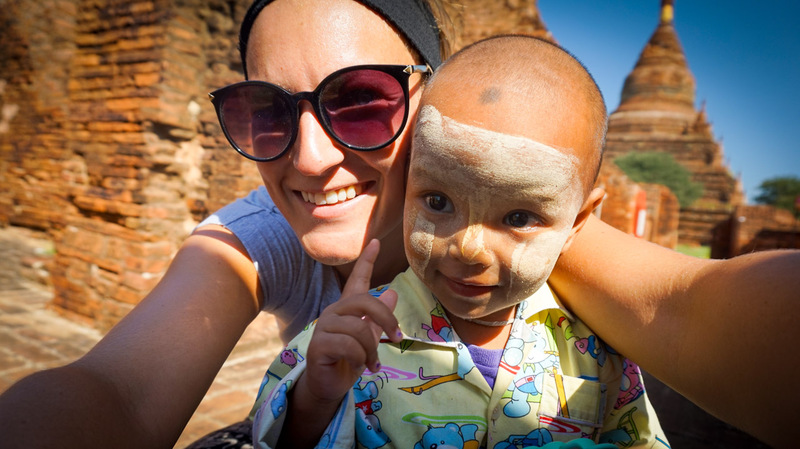 Bug spray & sunscreen will be your best friend in Bagan. 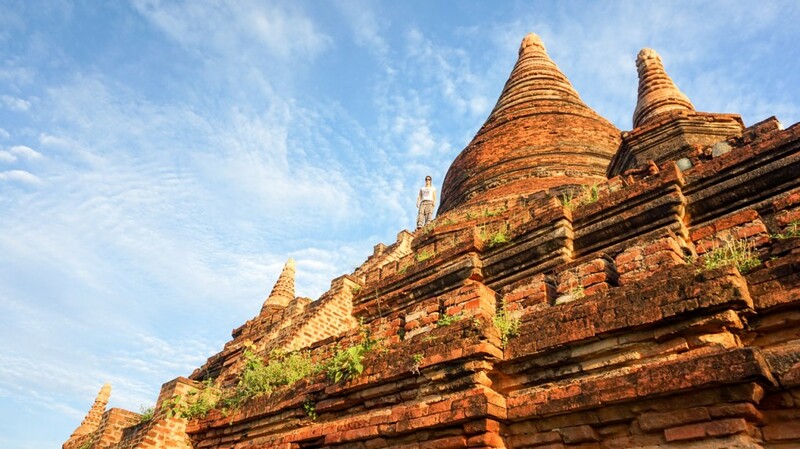 Due to the recent earthquake in August 2016, nearly 400 pagodas were damaged. Accessibility is limited to the temples you can climb up. Pay attention to the closed gates or ropes, they are there for a reason. Try to avoid the overly touristic pagodas such as the Shwesandaw Pagoda. 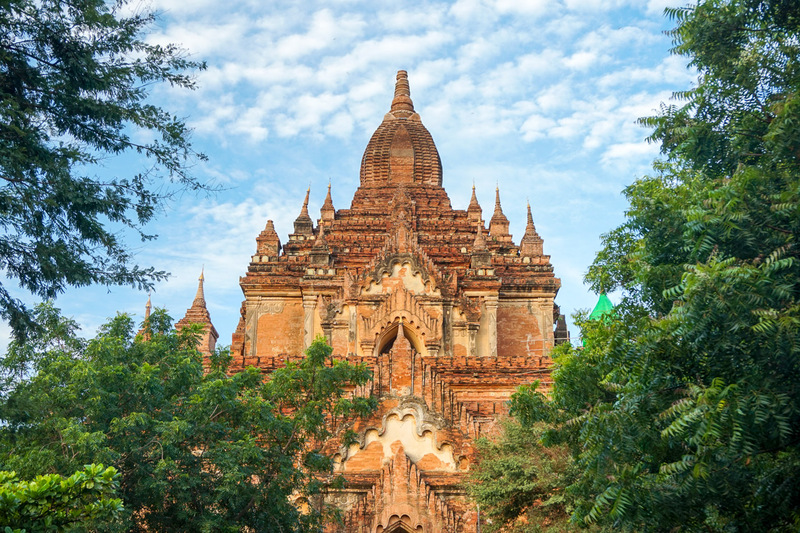 We recommend spending 3 days in Bagan. 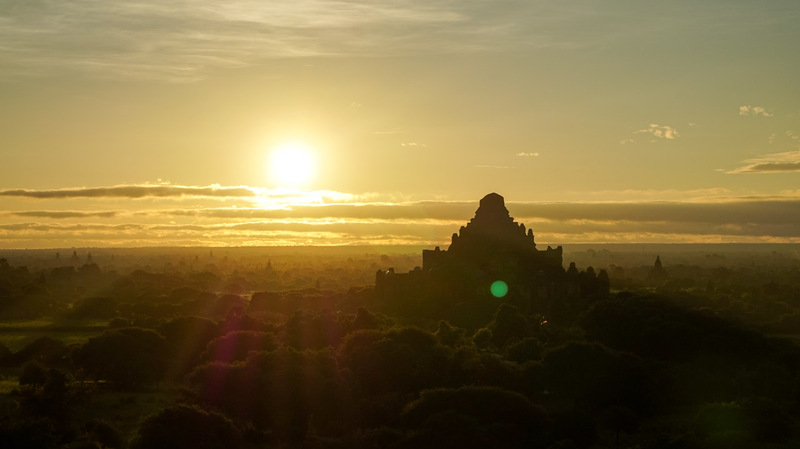 Sunrise and Sunset are by far the best time to see these temples so allow an extra day in case of bad weather. 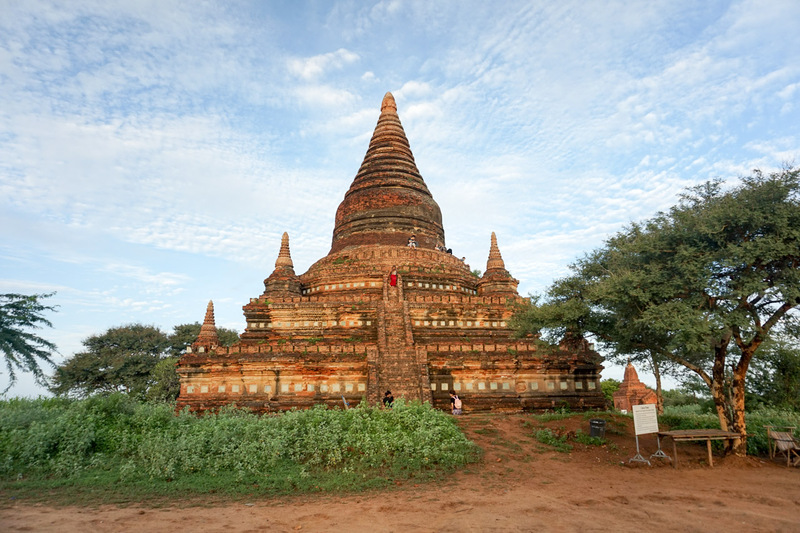 Budget accommodation is located in Nyaung- U whilst the fancier hotels you’ll find in Old Bagan and midrange in New Bagan. Eat at Weather Spoon’s, La Pizza, Be Kind to the Animals, Yar Pyi Vegetarian & Bagan Zay with happy hour 2-1 cocktails between 4-6pm. 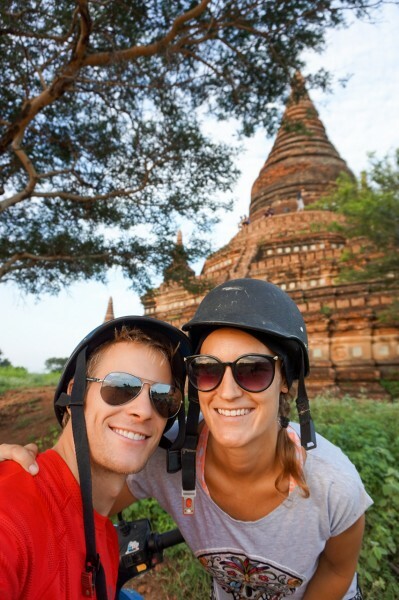 Heading onto Inle Lake next? Book your transport here. WOW what an adventure!!! So cool. Thank you guys for sharing!